Eight years ago I got permission from my principal to watch the first African-American president in U.S. history take the oath of office, instead of doing recess duty out on the school playground. I supervised a slew of middle school students in my classroom who also wanted to see history being made. It was awesome! Today, a new era begins. 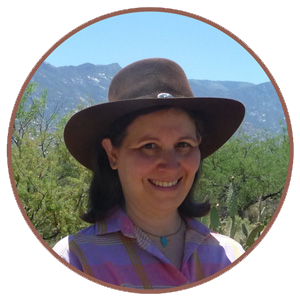 To commemorate the occasion, I am joining with many other TpT teacher-authors who have created resources that we hope you will find useful for your students. These products will be free forever because we want to share them with as many teachers as possible. Use the hashtags #KindnessNation and #WeHoldTheseTruths to search TpT for these resources. The resources cover a range of topics: Understanding the three branches of the American government and the US Constitution; democracy; kindness, empathy, compassion; history of civil rights movements, including suffrage; anti-bullying; environmental issues including climate change; understanding and respecting of cultural differences; critical thinking and examining media bias; and equality and inclusion for all people. Materials for students in kindergarten through high school have been created. There are resources for many subjects areas and some are even in other languages besides English. I’m sure you can find something for your class! 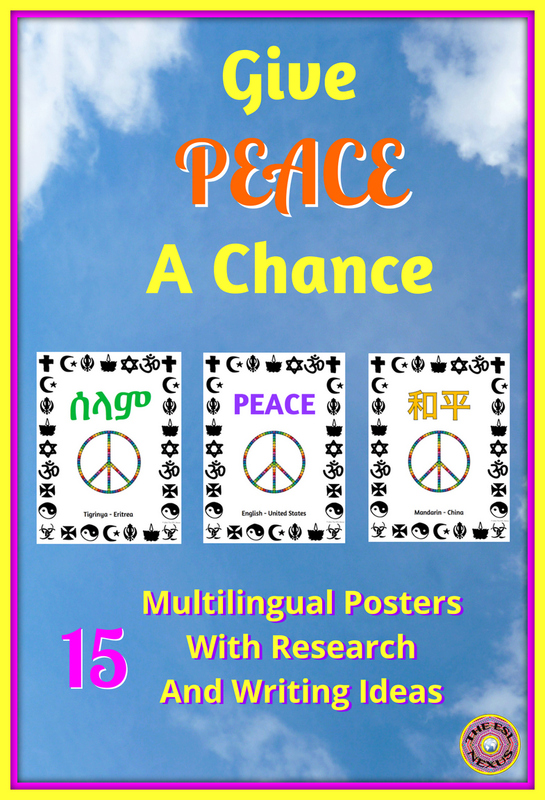 My resource is a collection of posters that say Peace in 15 different languages. How did I choose which languages to include? Well, they represent countries whose people were on the front lines of the refugee crisis in the Middle East and Europe last year or whose citizens were involved in some kind of war or conflict in the 20th and 21st centuries. You can have your students research the conflicts in the countries mentioned in the resource or they could research non-governmental organizations that are working for peace. Students can create collages about peace or write an acrostic poem using the included template. Other suggestions for using the posters are also included in the resource. I have personal experience with almost every country that I included in my resource -- either by living, working, or traveling there or by teaching English Language Learners who came from these countries. When I think about what the refugees are going through...it's just so sad. And as for the other countries, well, they have their own problems. So if this resource can get students thinking and it can spark a conversation about peace, instead of war, I will be very happy. I love these posters! Thanks so much for sharing them with us. Beautiful! Thank you for creating and sharing them, and for the lovely message of peace that inspired your work! I'm glad you like them -- thank you for commenting! I love how you chose which languages to use, making it global. These are wonderful! Thanks so much! It was definitely my intention to include a diverse array of languages to show that the desire for peace is universal. I love that you began your post with a picture of John Lennon and a quote from one of my favorite songs of his! Thank you for sharing these beautifully designed posters that inspire a sense of global community. His quote really is perfect for this blog post and resource, isn't it? :-) Thank you so much for your wonderful feedback -- I'm thrilled you like the posters! Thank you very much, Leah -- I appreciate your comments! What a clever way to help students understand what's going on in the world - especially some of the worst challenges. Thank you for sharing! Your posters are brilliant! Such a wonderful way to get students interested in researching these conflicts. We have a bulletin board that will be perfect for them. Thank you! Thank you! I'd love to see a photo of your bulletin board; you can email me at the address inside the resource. I'm so glad you like the posters!